Orbital includes products from select suppliers to provide customers with integrated solutions that ensure a worry-free quality installation that is guaranteed to perform to specification. Infinite Technologies Inc. and Commscope/Andrew Corporation are two quality suppliers whose products we have come to recommend and trust. 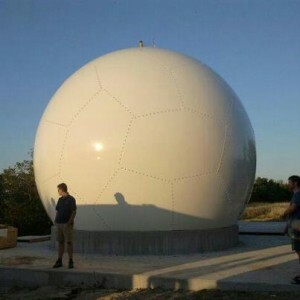 ITI builds custom-designed composite radomes for ground station, tower, and shipboard applications. RF performance rated to 40 GHz, and wind rated 150 mph. Optional versions to 200 mph. Andrew Corporations designs dehydrators used in the pressurization of the Orbital Systems’ antenna systems.